Do the media in this country understand that they are leading the charge on the heated and hateful rhetoric? Do you know, yesterday alone, Donald Trump – I counted four – four times was compared to Adolf Hitler on MSNBC and CNN? Six times, he was called a racist. And yet they – they want to know if Donald Trump is responsible for the heated and hateful and divisive rhetoric that’s going on. Did Donald Trump compare somebody to Adolf Hitler? And he’s called a racist all the time. In November 2014, Levin warned the American people during a Fox News hit about Obama going “full Mussolini” after the midterm elections. So, basically Levin’s position for the eight-year duration of the Obama administration was that Barack Hussein Obama was constantly putting the country in Nazi-Islamist danger. 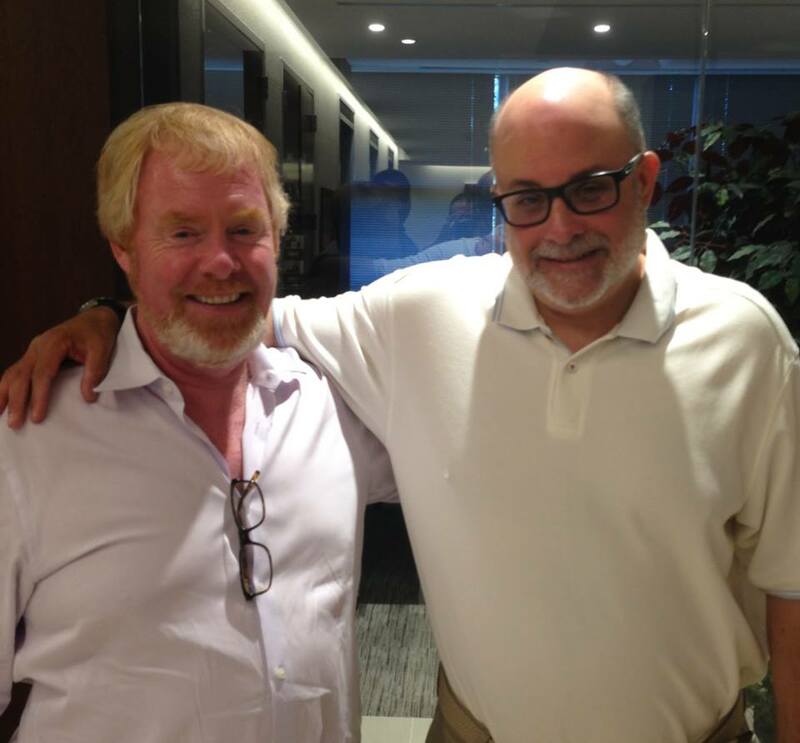 Remember, Levin is a close buddy of Brent Bozell, whose Media Research Center runs CNS, and Levin and the MRC have had (and may still have) a cross-promotion agreement. So Levin gets a pass, just like the misogynous, violent right-winger Gavin McInnes gets one because he has a show on Levin's CRTV.